The Elvis Smile Elvis Presley’s captivating smile had as much to do with his gorgeous eyes as with his quivering mouth. 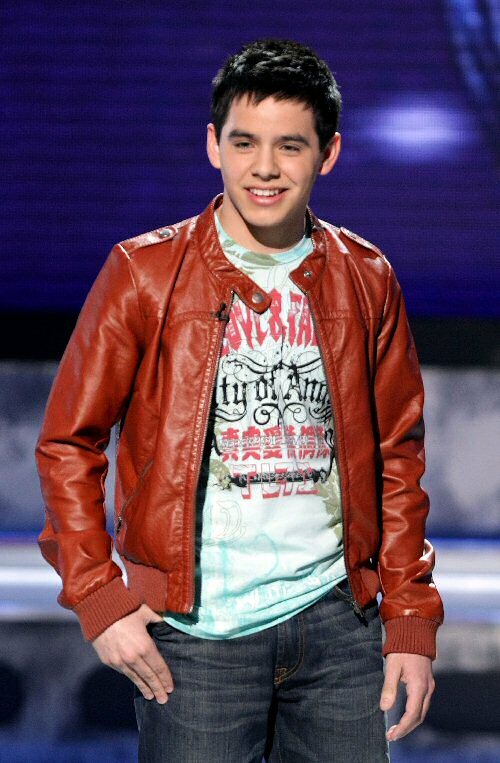 David Archuleta smiles often and sometimes his smile reminds me of Elvis, as in this photo. Our Photo of the Week was taken during the American Idol Top 7 results show last year. The contestants were split into two groups. Syesha Mercado, Brooke White, and Kristy Lee Cook were in one group; David Cook, Carly Smithson, and Jason Castro were in the other. 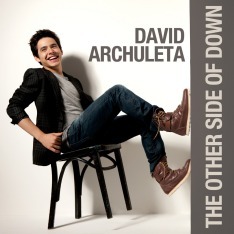 Archuleta was the only one not sorted into a group. After being told that he was safe, David was asked to join the group he thought was safe. David has never been one to pull mean-spirited tricks, so he smiled and plopped down in the middle of the stage, sitting cross-legged in innocent protest. With his endearing sense of justice, he applauded both groups. David has a knack for finding a perfect solution to each and every situation. By the way, it was Kristy Lee Cook’s turn to exit the show that night. And on a random note, David wore a beautiful pale blue Elvis t-shirt when I saw him in July at the Sacramento concert. You can see the t-shirt clearly thanks to gengen Wang‘s great concert photos. This was one of my favorite result shows. David showed such grace and respect for his fellow Idols. When Ryan asked to switch Cook’s David had a notion what was happening. Especially when they asked Seyesha to move to the other group. David decided not to play the game and took to middle ground! Haha! That’s why we love him so much!!! I love this smile that David has in this photo and when you look closely at his lips it does look a little like it’s ‘fixing’ to quiver… A shaky motion with his lips that Elvis was famous for. haha.